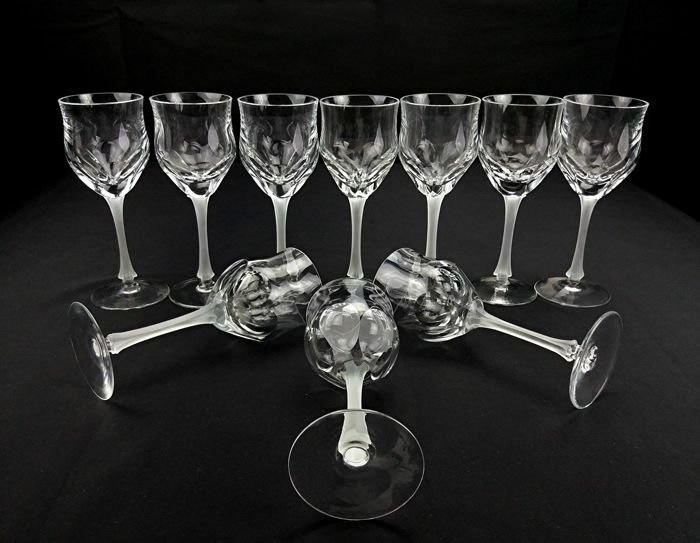 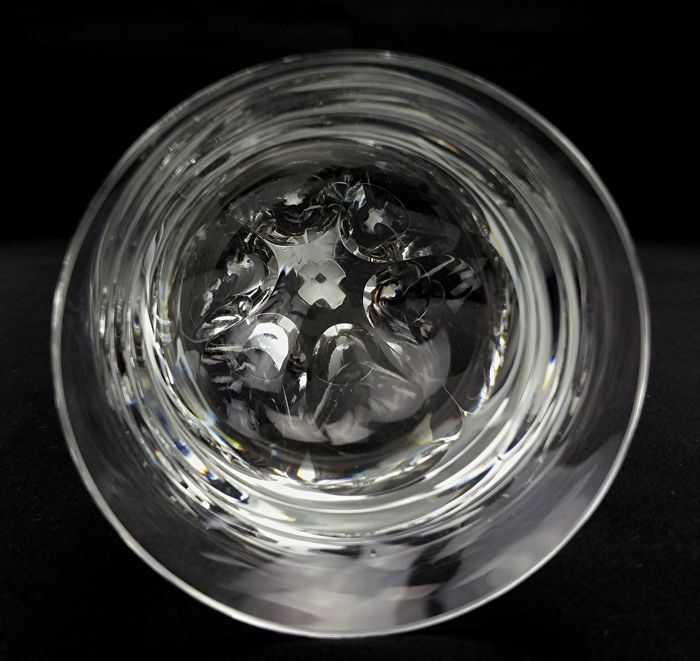 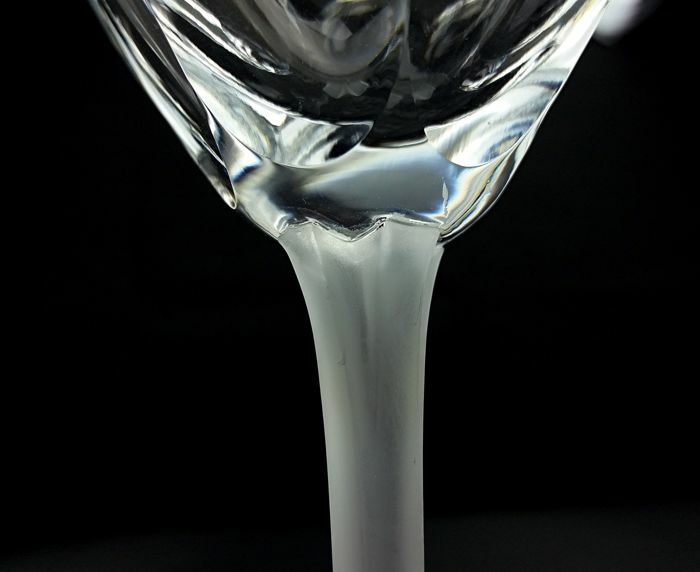 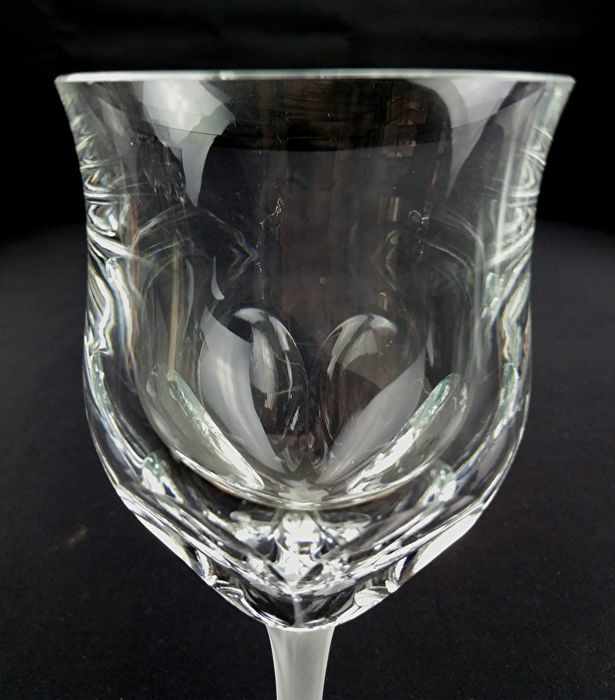 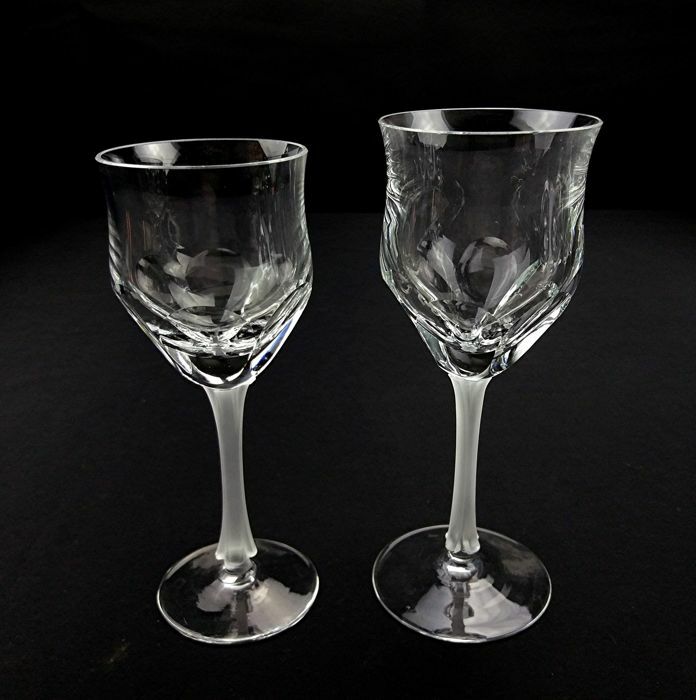 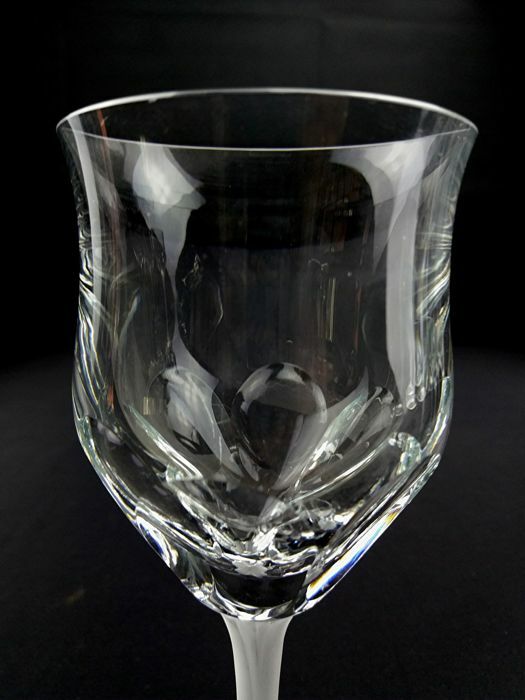 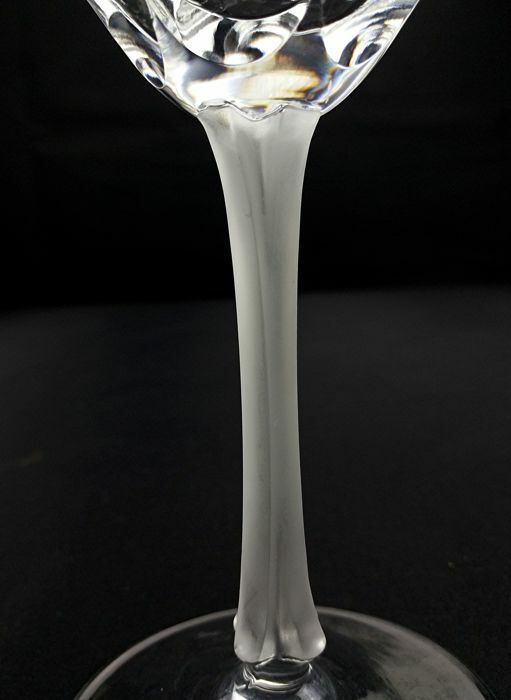 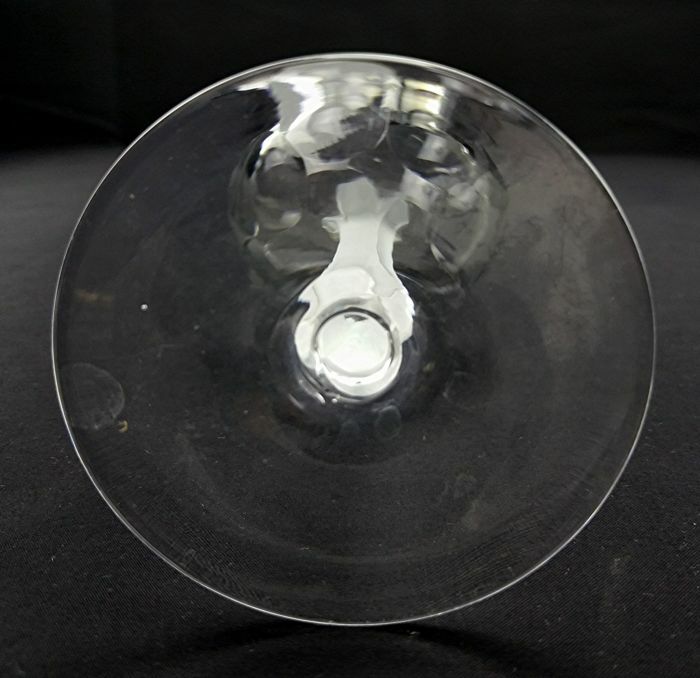 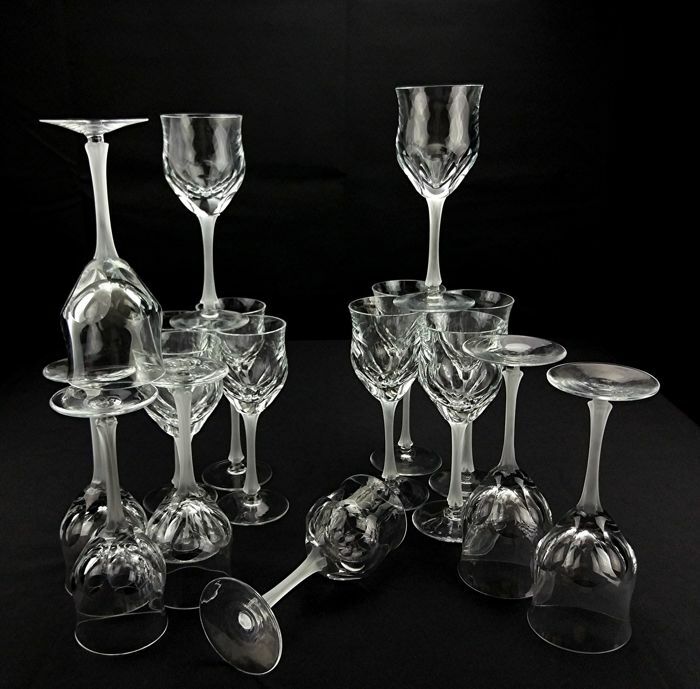 Old French crystal service dating back to the 1950s and 60s. 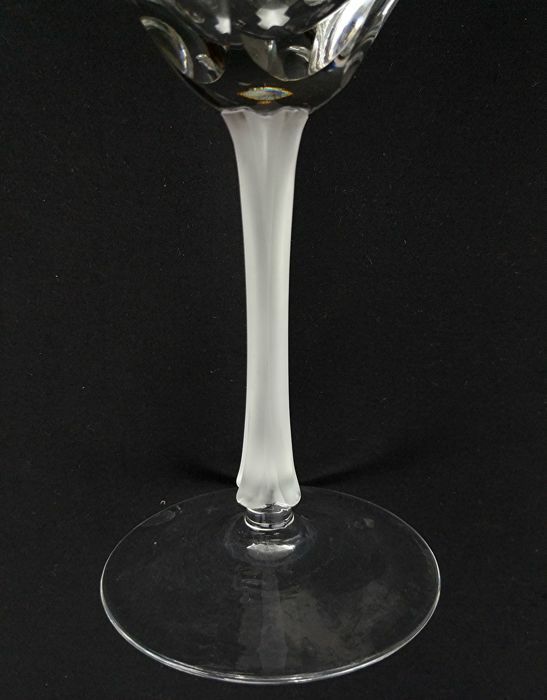 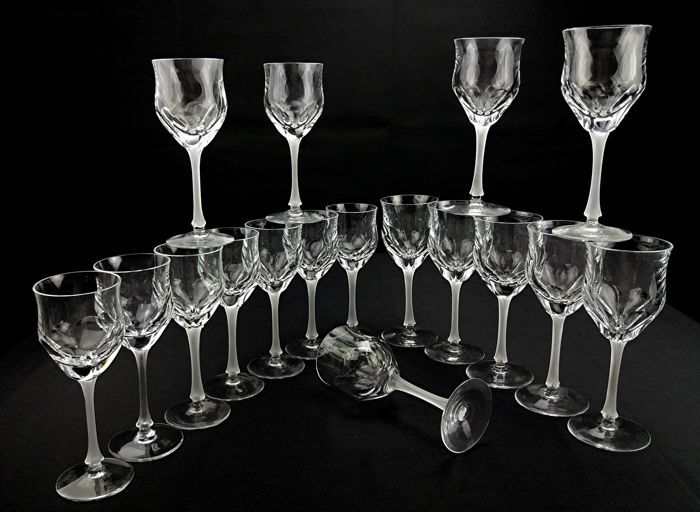 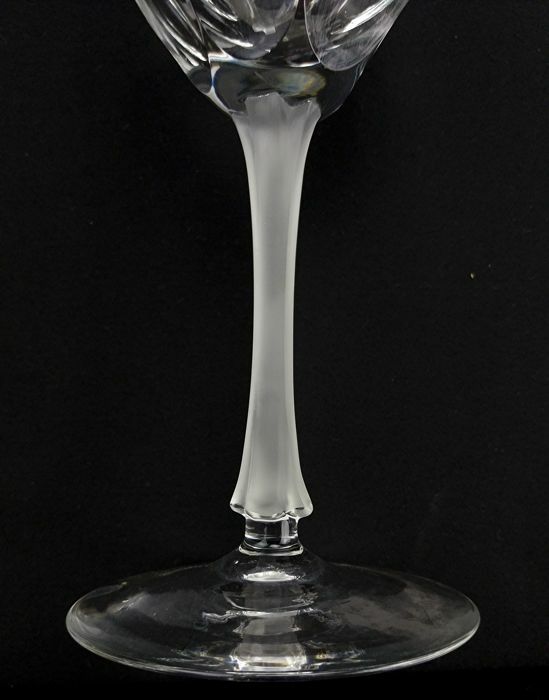 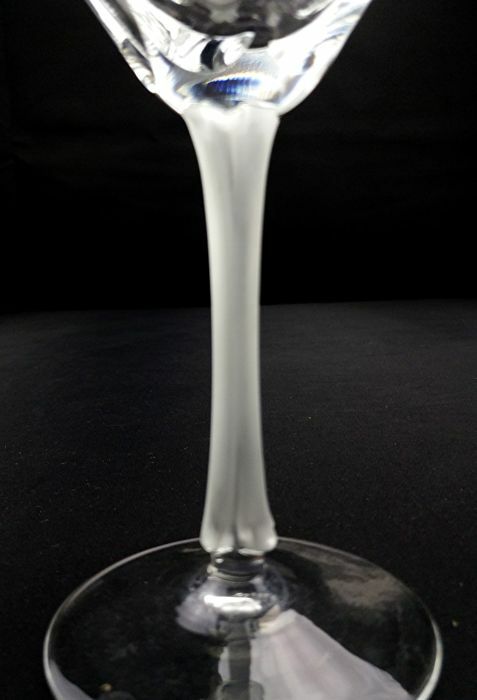 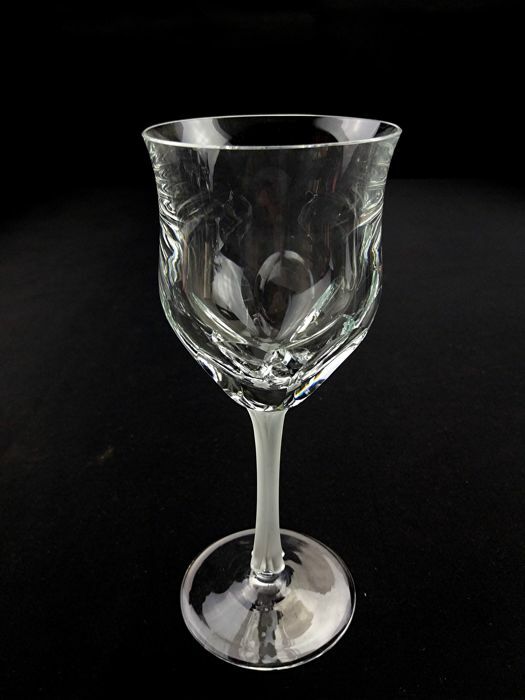 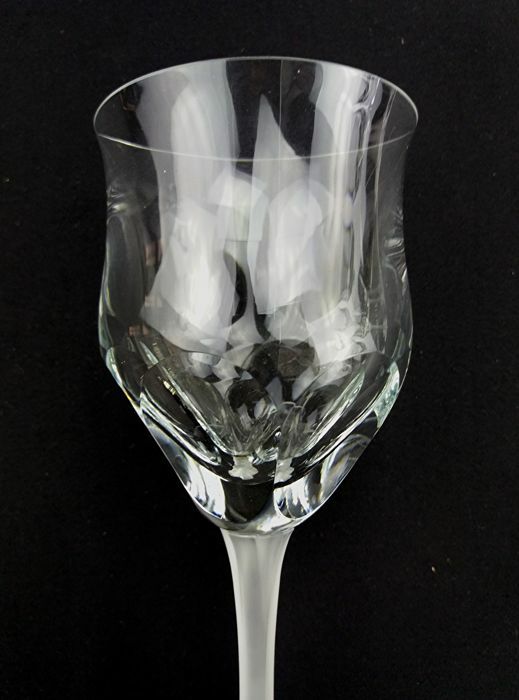 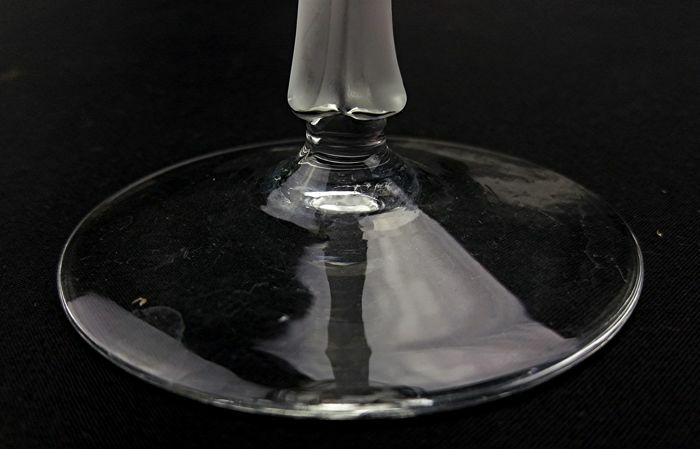 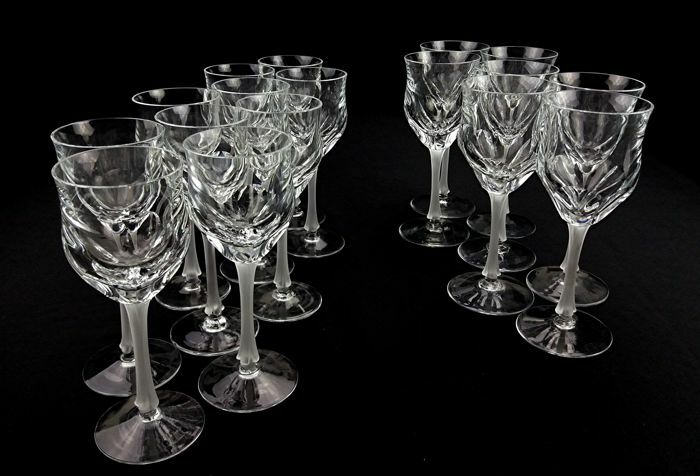 Composed of 10 wine glasses 17.5 cm - Depth: 6.5 cm + 7 water glasses H. 18.5 cm - diameter: 7 cm High-quality designer work by French masters, carved, bevelled, blown with a satin stem and circular foot. 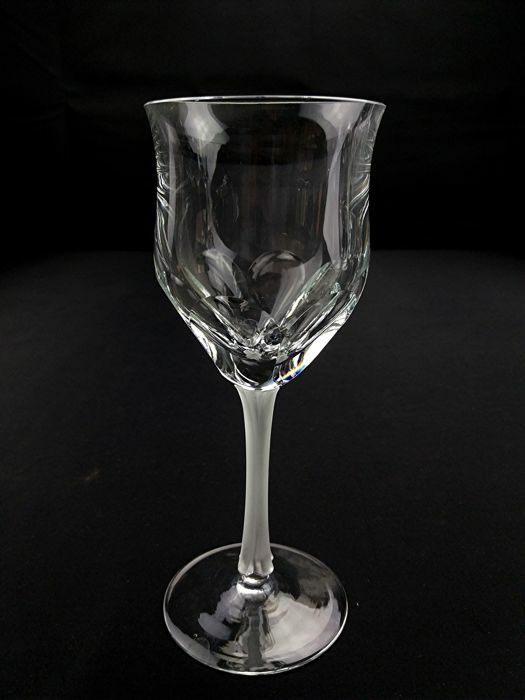 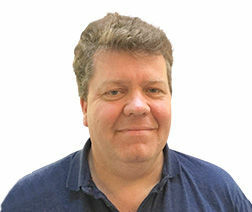 In good condition, with signs of age-related wear.